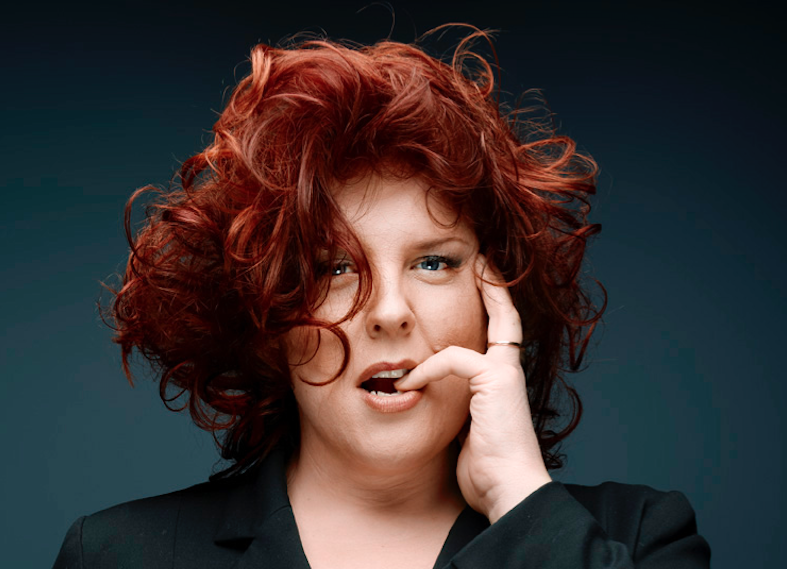 Canadian contralto Marie-Nicole Lemieux recently made her debut at the Met and is soon to release a new album. I am pleased to have been afforded the opportunity to speak with her about opera, her album, and her life off stage. You were born in Quebec. Did you grow up there? Did you develop an interest in Classical music at an early age? Yes I grew up in Quebec and around the age of 10, my father made me listen to a recording of the tenor Luciano Pavarotti, on which was a piece by Berlioz. It was a revelation for me and since then, I have never ceased to be interested in that type of music. What was your first experience with opera? When did you realize you wanted to devote your life to singing? Devote… that’s a strong word! For me, the first thing there is is a love of music and singing is the conduit to this art. I understand you recently had your Met debut as Geneviève in Pelléas et Mélisande and are currently performing there as Mistress Quickly in Falstaff. How does it feel to add this house to the list of places you’ve performed? It is definitely good for the ego [laughs]!! In all seriousness, it is in fact an important step in my career. In this profession, we hold special relationships with some opera houses and audiences and we get to develop new relationship. It is always moving, always changing, some stay, some are fleeting sometimes, but one thing is for certain, it is always evolving, just like the voice and life. I am happy to have lived these special moments at the Met, they teach me every time. I see that you also do a fair number of recitals, in addition to your performances in opera. 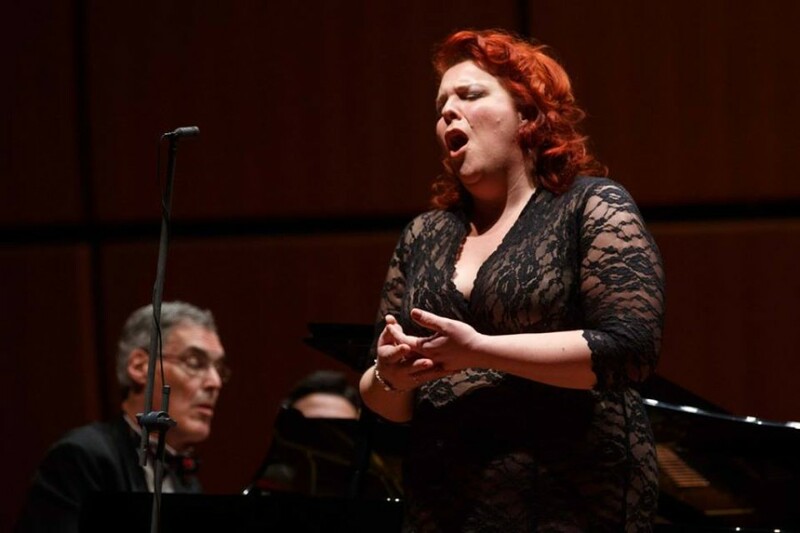 How does recital performance compare to operatic performance? For me, recital performance is the quintessence of the musician-singer. It is the most difficult exercise, but oh, how gratifying. I am obviously not saying that opera is not as precious, but at the opera, there are a lot of dimensions that we have to deal with. In addition to the music and acting, there is the interaction with the conductor, with the orchestra, with colleagues, with costumes (which can sometimes be awkward), with the set and the staging. All of these elements serve the purpose of the opera, of the performance, which is good and somewhat reassuring because we are not alone at the the opera. In recital, we need to use our music and our inner world. We tell short stories, poems, with the pianist. This means that the singer must have something to say and must have a strong enough stage presence to engage the audience with him or her during an hour and a half! Tell me about your upcoming album, which features works by Berlioz, Chausson and Elgar, as well as a world premiere by Joncières. This is a recording of which I am very proud. It is a recording that brings together composers which have been companions to me for a long time, Berlioz and Chausson. It is also a wonderful discovery of La Mer de Joncières, which ties this program together very well, with Elgar’s Sea Pictures. It is a superb collaboration between Paul Daniel, the Orchestre de Bordeaux and myself. We all truly loved to work together. During recording, there was something special happening, everybody was so involved, working together with the same intention, to attain the same goal. Fantastic music moments. The result is there in the recording, I am very glad. Where can audiences see you on stage next season? I cannot say this at this point, it hasn’t been announced yet. This season though, I will be in Madrid for a production of Il Trovatore and singing Aggripina in concert version. How do you spend your time when you’re not preparing for a recital or production, or performing? When I am lucky, with my family, with a normal life. A normal life ruled by school and school schedule (my daughter’s). For many, school schedule can be strenuous. For me, it becomes a luxury to have moments where I live with this rhythm. Other then that, I read a lot, I enjoy sports, cycling, listening to a good series, a meal with friends. I love to have visits from family, as I have few occasions to see them. When opera really moves me, it is when we succeed in creating a unifying moment with the music, the story and all the musicians. When we succeed in balancing the acting, the emotion, the music, it becomes incredibly magical and it transports us. We cry, we laugh, we live. When this works it is so strong. The point at the opera is, of course, to listen, but more than that, it is to be, within the hall. There is nothing more beautiful then to be part of this group of people, hundreds, or more then 2,000 people in the case of the Met and to be all there in the same moment, living the same emotion. It is truly amazing. This is the true magic of the performing arts. We talk about the crisis in the disc industry and recorded music. Live performance is outside of this because these moments we live together, live, nothing will ever be able to replace that, in my opinion.